I went back to frozen sea yesterday. It was really cold and windy. Today should be even colder. After tomorrow it should get bit warmer. Not to normal temperatures of this time of the year but warmer. 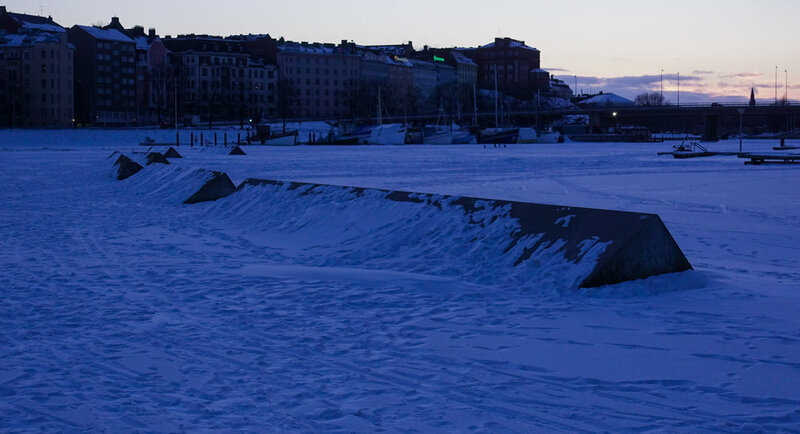 I don't remember walking on ice after I moved to Helsinki before Saturday. When I moved here I didn't live close to see. When I moved closer to sea there haven't been real winters. Here are some photos I took yesterday evening.